As part of the Sigma Affiliate Progamme i was sent the Make Me Up 12 Piece Brush Kit. I have been using this daily now for over 2 months and i must admit it is absolute LOVE! I am trying not to compare these brushes to the MAC equivalent as Sigma have now changed the numbers on their brushes so they are not similar to MAC. Saying this, i am a bit of a make up snob if you will and have a wide range of different MAC brushes as i thought because they cost more they would be better quality! Since receiving these i have only used 2 of my MAC brushes...which i will explain about more later! Im going to talk about the brushes individually, so it may equate to a rather long post, hope you dont mind! Admittedly, this is one of the brushes that i used least often. Before receiving these brushes i had never used a angled shading brush so this was new to me! The bristles are soft, slightly angled and i have found no shedding with this brush whatsoever. I used this mainly for applying colour to the crease, blending or adding a highlight to my brow bone. This brush i have used every single day since receiving it! It is soft, quite dense and has lots of bristles packed into the small head, again i have found no shedding at all! It is great for packing a lot of colour on the lid. For days when im not been lazy and use more than once eyeshadow colour, this is another brush that gets a lot of use! Comparable to the MAC 219 pencil brush the bristles on this are a little longer but still dense enough for precise application of colour in the crease. Again, no shedding, the bristles are natural hair so i did find them a little scratchy but nothing more than my MAC brush! Again, not a brush that i would use on a daily basis as i found the E55 Eye Shading Brush was sufficient for applying one colour to the lid. What i found this brush most suitable for was applying MAC paint pots which i would usually apply with my finger. This picked up the product nicely and applied to my eyelid just as it would if i used my finger (just a little less messy). The bristles are quite firm on this one but again no fall out of bristles. Another brush that i have used every single day since i received it! Although i havent used it for what its purpose is! I have used this brush for applying concealer to my blemishes and under eye circles. I must admit, the bristles on this tend to break off and fall out each time i use it (the same happened with my MAC equivalent which i ended up selling) resulting in me having to pick the hairs off my face after each use. Having said that i dont really mind (although it would be better if it didnt shed!) but i do like the finish it leaves when i apply my concealer with this brush. Since receiving this brush it has made filling in my eyebrows an absolute doddle (for those that are unaware of this term it means easy!) Before this i never used to touch my eyebrows i could never get the brush/product right although now this brush seems to work wonders! It is quite small, densely packed and angled so applies powder eyeshadow to fill in my brows like a dream. I also use this to apply eyeshadow over my liquid eyeliner to keep it in place. I had another equivalent to this brush prior to receiving the Sigma Brush Kit but got rid of it as i didn't really use gel eyeliner. However, as i wanted to road test every single brush so i could give a thorough review i invested some gel eyeliner (again!). No shedding whatsoever from this brush, densely packed bristles and applied the gel eyeliner really well (maybe its just my technique thats got better?!) Although i must admit i haven't used this brush everyday as i much prefer to use my Illamasqua Precision Ink Eyeliner! The proper concealer brush in the kit! This brush got some use when i was in a little bit of a rush with my concealer and didn't have the time to be picked hairs that has shed on my face! This applied concealer on my blemishes well but i preferred the finish under my eyes with the E40 Tapered Blending brush. No shedding at all from this brush with nice, soft bristles! If you prefer concealer brushes to be like concealer brushes and not blending brushes like myself, this may be the brush for you(r spots!). Again, another brush that i have been using every day! Although not just for contouring i have been using this to bronze allover my face! This brush seems to have mis-shapen just a little but that may be because of how rigorous i use it! Im sure it will be back to normal after a deep cleanse :) I have experienced minimal and i mean extremely minimal shedding with this brush. Overall it has been a pleasure to use. It distributes product evenly and is large but not too big and feels soft against my skin. If i had to chose only 1 brush out of the whole kit this would be it! I absolutely LOVE it and it has made me fall back in love with paddle foundation brushes. Before i received this i religiously used this and this brush for my foundation but now i havent used them since! I love the finish this brush gives my foundation (NARS sheer glow) It is soft, the right size and doesnt shed in the slightest! Definite winner from me! Again, another of my favourite brushes. I know i said i wasnt going to compare (oops!) but this is identical and i mean identical to my MAC 150 powder brush (without the expensive price tag may i add!) I own both and this has been the brush that i have reached for daily! It distributes my powder lovely over my foundation and leaves it not looking too cakey! Amazing value for the price! This isnt a brush i have used that often as honestly i didnt really see much purpose for it. The use i have given to this brush is to sheer my cheeks down when i have gone a little OTT with the blush (we all do it at times!) I should really give it a go at applying my foundation with it but right now i am perfectly happy with the F60 Foundation Brush! Not a neccisty i dont think but i do know lots of ladies that apply their foundation with Duo Fibre Brushes! F60 Foundation Brush & F15 Powder Brush: Have used these both daily since receiving them, i think they are both amazing value and quality! What i think this set is missing is a blending brush although whilst writing this i realise that it does contain the E40 Tapered Blending Brush but i use this instead for concealer! Another brush that i think this set is missing is a blush brush! As i said above the 2 MAC brushes that i have used since receiving this kit is the MAC 217 Blending brush & the MAC 116 Blush Brush as i didn't think any brush in this kit was appropriate for applying blusher. As i didn't think they were necessary for my personal needs/uses. I am MORE than happy with this kit! I seriously think its amazing and there is something for everyone! It is a great little kit from Sigma and the quality of the brushes are amazing with such affordable prices! I have seriously used this none stop since receiving it and some of these brushes are now in my make up routine for the foreseeable future. I would definitely recommend this kit and Sigma brushes in general to all you beauty and make up lovers! I also love the container that these brushes come in and these are what i am currently housing my brushes in on my vanity! I admit i was a snob! But i would happily purchase Sigma brushes over MAC, something i wouldn't have said if you asked me a few months ago! 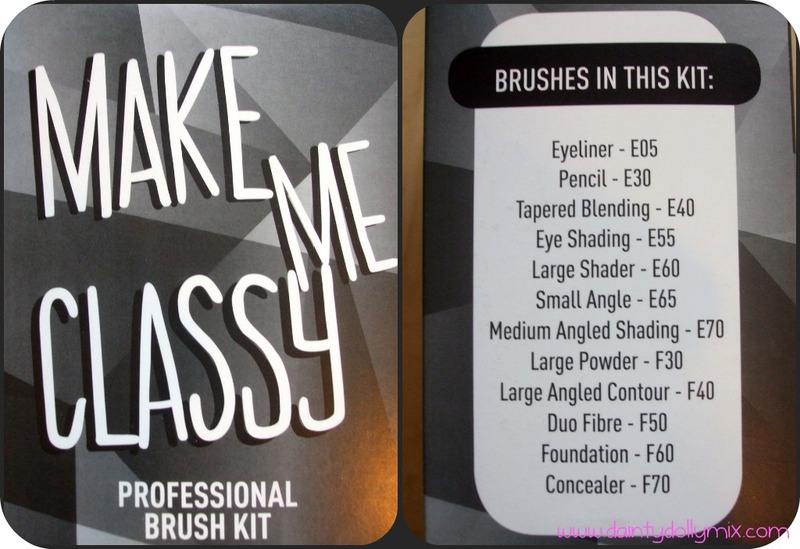 This brush kit is available from the Sigma website here and is $99 which equates to £60. Which is a bargain for 12 brushes & a holder! If you have got to here, THANK YOU! You deserve a gold star! I really hope that you have found this useful in some way! 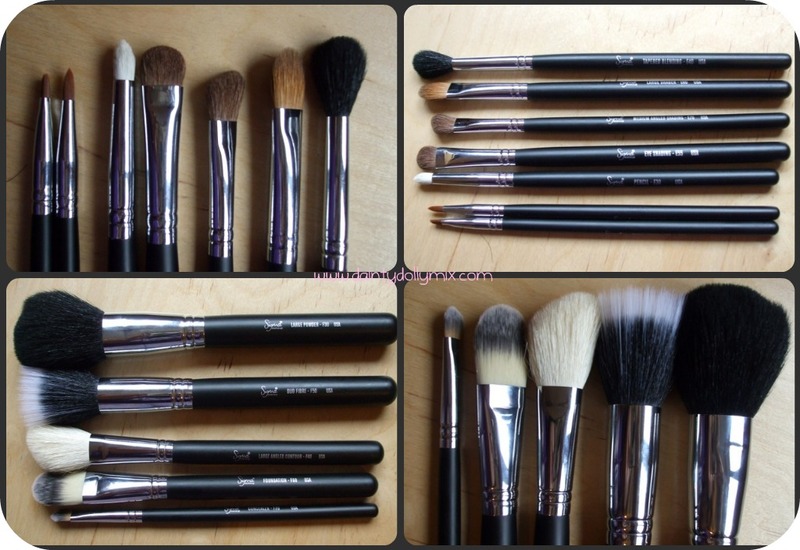 Have you ever tried any Sigma brushes? What are your thoughts? Where is this gold star?? Amazing review! Thanks so much. I've been going back and forth on whether to order brushes from Sigma and you helped me decide to go for it and purchase a set :) Thanks again! Wow, they seem really good! I'm a bit overflowing with makeup brushes atm, but my mum is in DIRE need of some new ones. May have to order this set for her birthday! You may have convinced me to save for this! This post was SO useful - I'm actually saving up to buy this exact one as I thought black looked better than the other colours (but I do want the purple one too)! When you purchase does it convert it to pounds or does it convert over straight into your bank account, if that makes sense? I know you were sent these so might not know the answer but it would be really helpful! Have been looking at this brush set for a few weeks, especially the turquoise blue version! All the brushes look gorgeous! I didnt realise actually how many brushes there were in this kit, it looks brill! i really want to get this sigma brush kit for my birthday! Oh my goodness I NEED this. The packaging is simply adorable!